Keep your holiday chaos organized in this Poinsettia and holly leaves themed printable Christmas Planner in PERSONAL A2 SIZE. 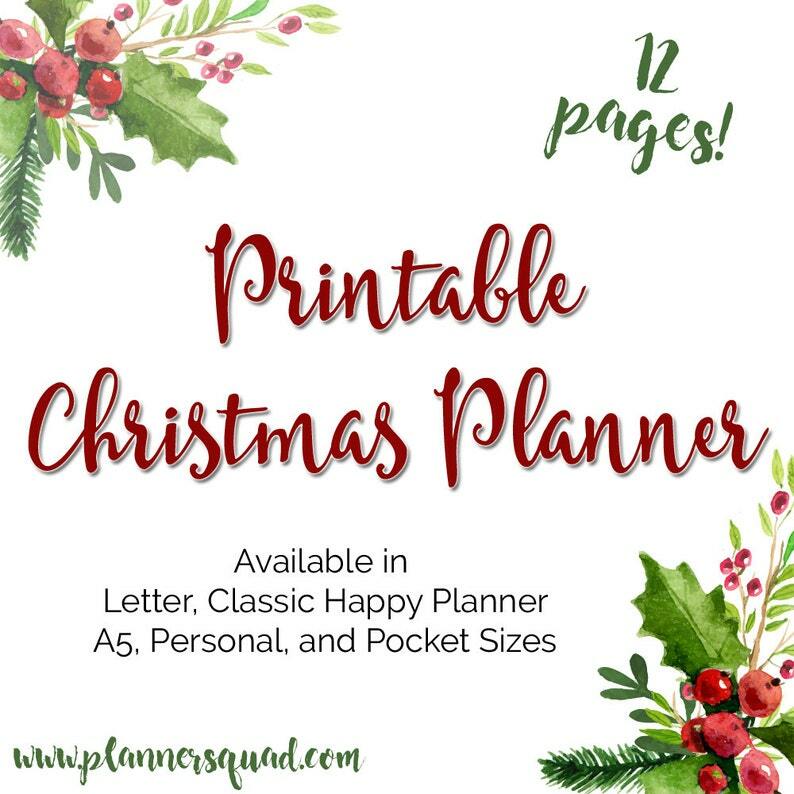 This planner contains 12 total printable pages that will help you keep track of your holidays this year, and every year to come. Need this in another size? Check out our other listings! Don't see the size you need? Contact us and we'll see how we can help you! This planner is for personal use ONLY. If you would like a custom designed printable, contact us for pricing. If you discover any errors withing this planner, please contact us and we will gladly make the necessary fixes for you! Quel bel assortiment de pages !